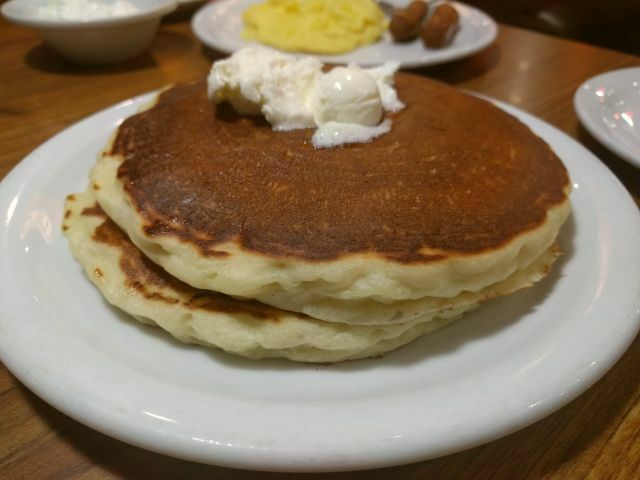 Denny's new Buttermilk Pancakes are made with fresh buttermilk, eggs, and a hint of vanilla making them "fluffier, tastier, and better" according to the chain. A short stack (two pancakes) is just $2 on their value menu but I went with the Value Slam for $4, which includes two pancakes, eggs, and either two strips of bacon or two sausage links. 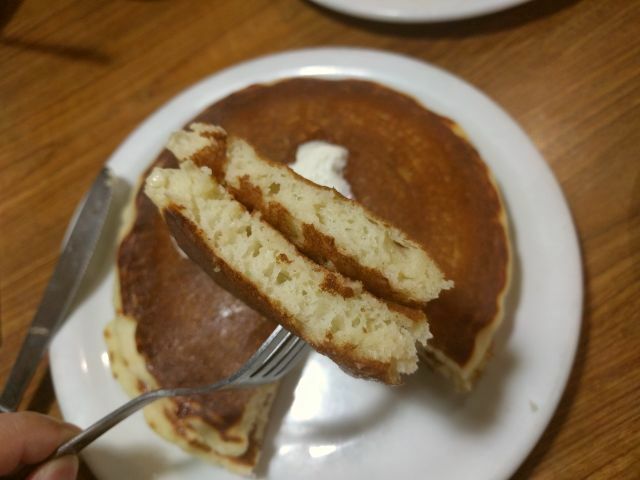 I haven't eaten Denny's pancakes in a while but these were definitely thicker than I remember and they were indeed very fluffy with a slight chew and nice, warm, moist crumb. I could definitely taste the vanilla in them. It sets them apart as it a stronger flavor than I've encountered in other pancakes. Beyond the vanilla, there's a slight buttery quality and just a touch of salt. They were delicious. The butter on top was a just little too salty though but otherwise good. They're not small pancakes either... About the size of small serving plates I'd say. 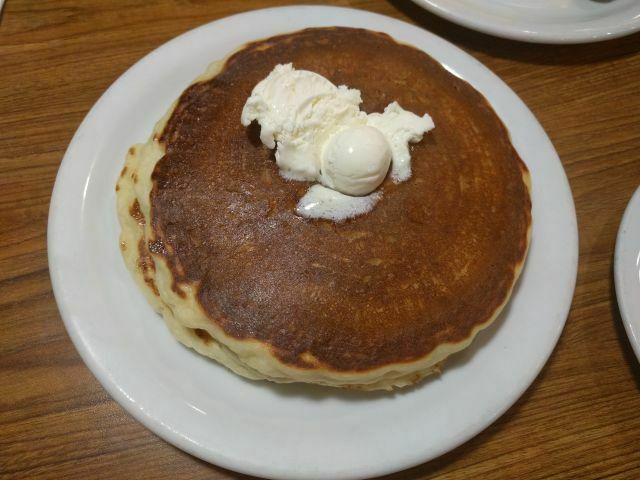 Overall, Denny's new Buttermilk Pancakes were excellent. For $2, they're a steal and I doubt you'd find any better. I'd be pretty happy if my pancakes turned out like this at home.